BMTC Recruitment 2017-2018 Apply Online Application Form, 2225 Driver, Conductor & Other Posts. 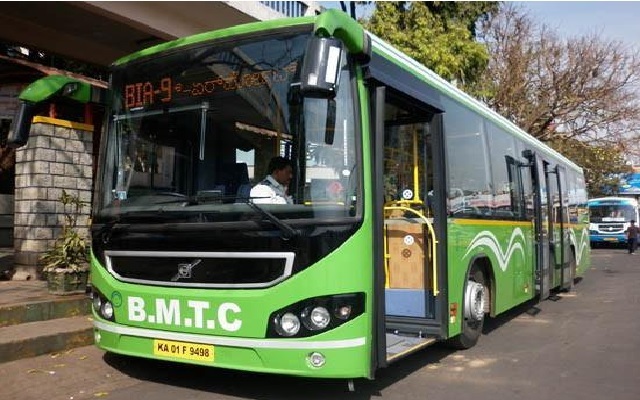 Candidates are apply on-line through Official website www.mybmtc.com. The last date for submission of Online applications is 26-12-2017. BMTC Recruitment 2225 Driver–Conductor Posts Apply Now. BMTC pattern of examination, Syllabus, Detailed Information Like Educational Qualifications, Age limit, Selection Procedure, Pay Scale etc. Bhadrate Shayak : 172 Posts. Educational Qualification For Driver Post : Passed SSLC + Physical Standard + HPV/HTV/HGV/ Driving Licence from recognized Board/ Institute. Educational Qualification For Conductor Post : Passed 10th Class + Licence/ Badge. Pay Scale : Rs. 19550/- (For Posts No. 01), Rs. 15700/- (For Posts No. 02, 04 to 05), Rs. 20740/- (For Posts No. 03, 06). Application Fee : Candidates belonging to General /OBC category have to pay Rs. 400/- and Rs. 220/- for SC/ST/PWD Category. Last Date for Submission of Online Application form : 26.12.2017.